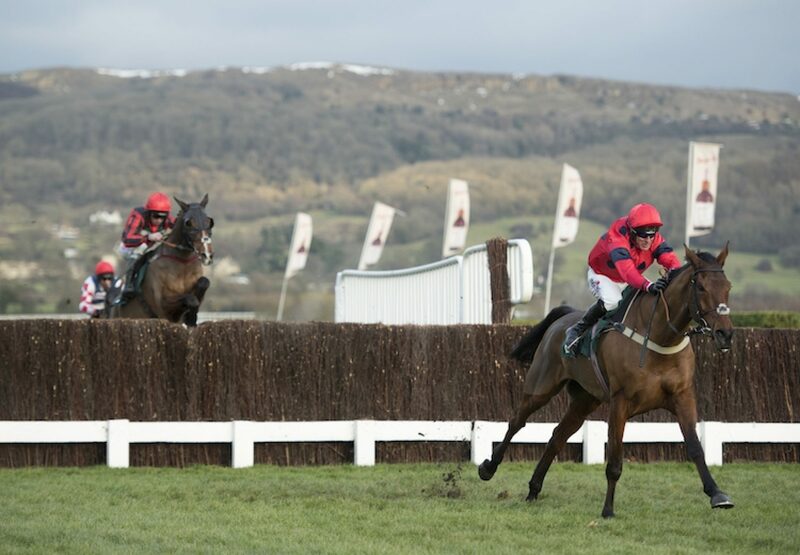 The Colin Tizzard-trained Robinsfirth (8g Flemensfirth-Phardestar, by Phardante) shone at Cheltenham on Friday to win the £54,000 G3 chase for Flemensfirth. The eight-year-old tracked the leader Southfield Theatre before taking the lead two fences from home. He stayed on resolutely to see off the challenge of Shanroe Santos by two lengths with Southfield Theatre another nine lengths back in third. Tizzard said: "It's no secret that I wanted to go for the Welsh National with Robinsfirth but the owners (Christine Knowles & Wendy Carter) weren't going to let me go for that race. We found the right race today - it's beautiful prize money. "For a big horse, he was in deep and long but was fine. I have mentioned the Grand National but the owners have said no. I have a few more weeks to work on that one!" Winning rider Robbie Power felt that the Flemensfirth gelding appreciated the underfoot conditions. Robinsfirth was bred by Esther Dineen.